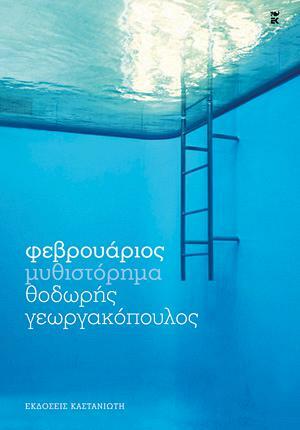 Ένα χορταστικό άρθρο από το London Review of Books, που αντιμετωπίζει τους "αγανακτισμένους" με λίγο υπερβολικό δέος, αλλά εξηγεί με εύκολα λόγια το Ευρωπαϊκό πρόβλημα που δημιουργεί η κατάσταση της Ελλάδας (για την οποία δε φταίει αποκλειστικά η Ελλάδα). The euro was not designed to default, so when Greece does, other European countries who have had to ask for non-bailout bailouts – Ireland and Portugal – will have their ability to repay their debts questioned. If one or other of them undergoes a ‘rollover’, or ‘restructuring’, or ‘rescheduling’ of its debt – all polite words for default – the next country in line will be Spain, and that is where everything changes. The ECB/EU/IMF ‘troika’ can write a cheque and buy the Greek economy, or the Irish economy or the Portuguese economy. But Spain is the world’s twelfth-largest economy, and the ECB can’t just write a cheque and buy it. A Spanish default would destroy the credibility of the euro, and quite possibly the currency itself, at least in its current form. This is why the current situation has developed, in which governments are reluctant to lend Greece money because they don’t think they’re going to get all of it back, but they’re determined to do so anyway because they need to buy time. Επίσης, ένα πολύ ωραίο και συνοπτικό κείμενο από τον New Yorker για το μεγαλύτερό μας πρόβλημα, το φοροεισπρακτικό. Greece, it seems, has struggled with the first rule of a healthy tax system: enforce the law. People are more likely to be honest if they feel there’s a reasonable chance that dishonesty will be detected and punished. But Greek tax officials were notoriously easy to bribe with a fakelaki (small envelope) of cash. There was little political pressure for tougher enforcement. On the contrary: a recent study showed that enforcement of the tax laws loosened in the months leading up to elections, because incumbents didn’t want to annoy voters and contributors. Even when the system did track down evaders, it was next to impossible to get them to pay up, because the tax courts typically took seven to ten years to resolve a case. As of last February, they had a backlog of three hundred thousand cases.